Sorry for this "tardy" update. It has been a month since the last update. 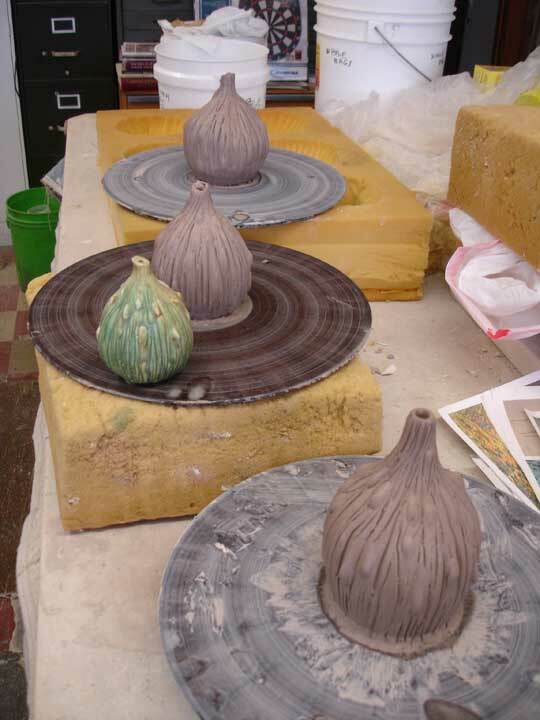 I have been making a variety of pots for the new year. First on the list- some gourds. 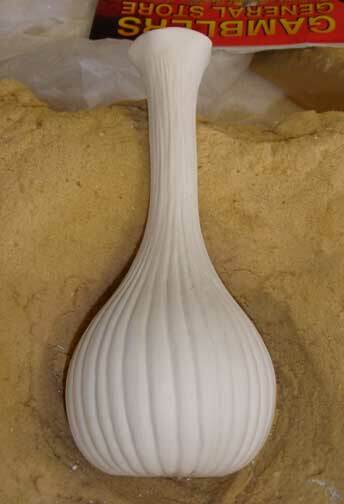 Some of them are vase forms, others are stylized gourds. Personally, I think that my gourds are some of the most wonderful things I make. 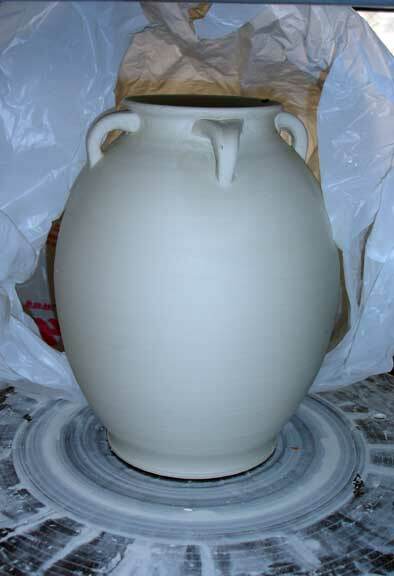 Generally, they do have a European art pottery flavor, but at the same time, Robineau made pots similar to these. Of course, she was hanging around with Doat and Rhead! 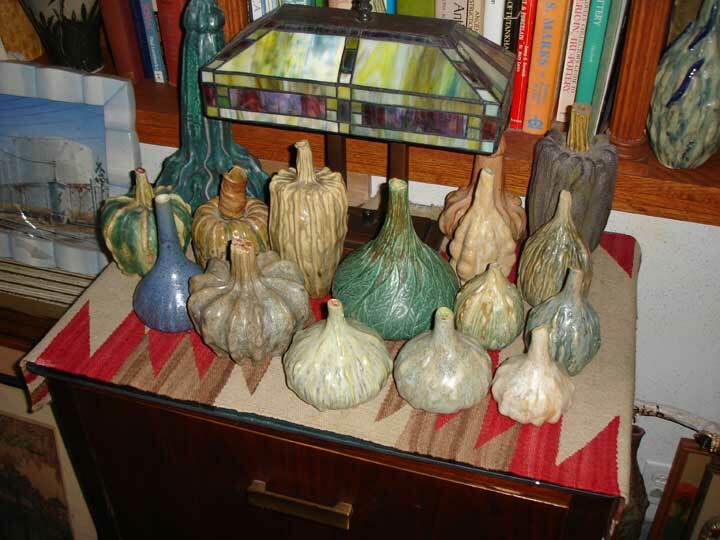 A number of you have gourd collections started. Now, I need you to build upon those collections. I -of course- have a collection of them myself. Wouldn't you get a kick out of a collection like this? 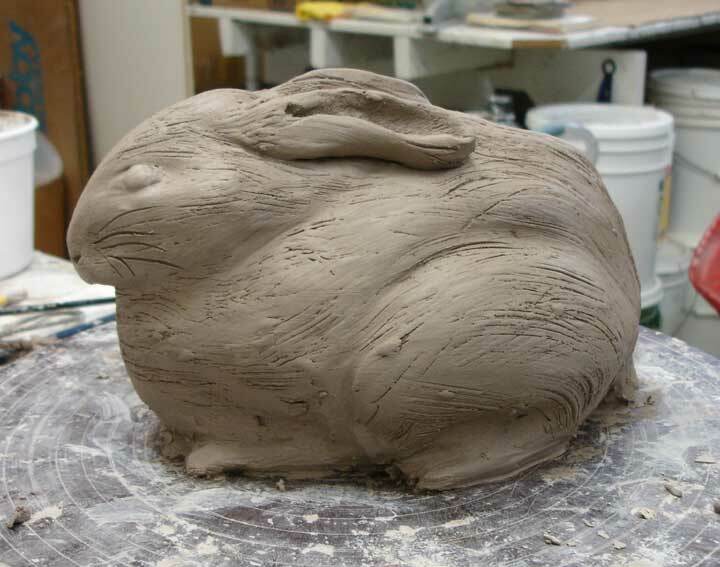 Do you have any art pots that BELONG in the kitchen? If your kitchen is "pot-less", consider these little beauties. And on top of their obvoius beauty, they are generally cheap. Of course big ones like this 12" piece are not cheap. 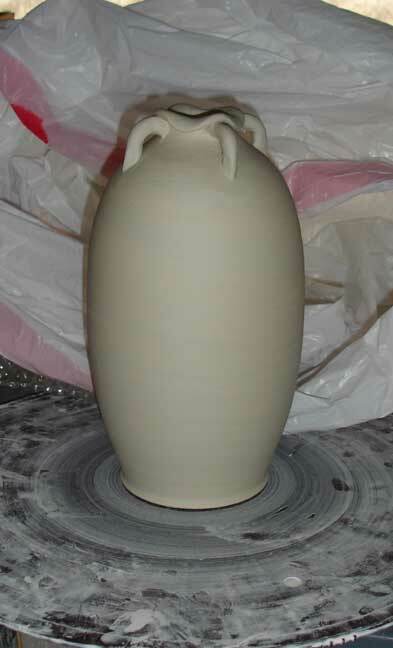 I have made a number of pots with handles. Generally they are Asian shapes. Exactly what I will do with the surface is undecided. My original intention was to just do glaze tricks on them, but who knows? 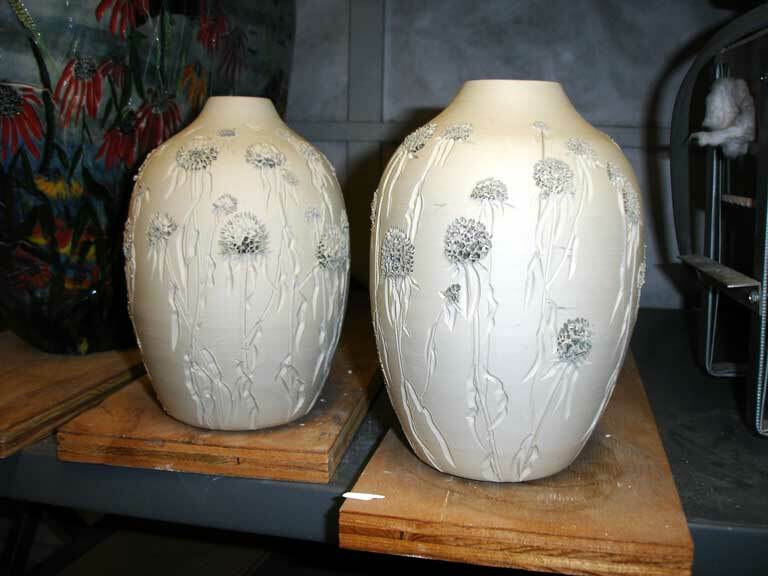 I made a number of these handled floriform top pots. This is a shape that I am very enamored with. I predict these pieces will be spectacular. and again, something new. I have very high hopes for these Hollyhock pots. They will be vividly and luciously glazed. I have three of them at the moment. I might make a few more. I made four and they are going to be "adorable" and up for adoption. 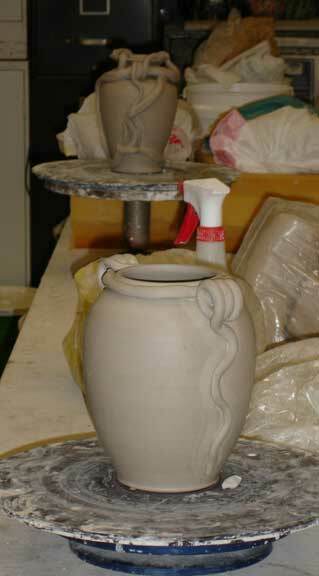 And as I always am compelled to do, I made a couple of snake pots with frogs inside. The closest one is in progress. I predict the snakes will never get the frogs. I will fire them so they are eternally "saved." 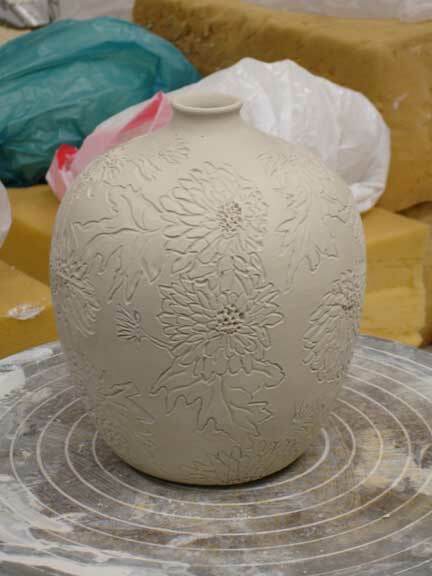 I intend to be throwing and making pots for another two weeks and then I start glazing. 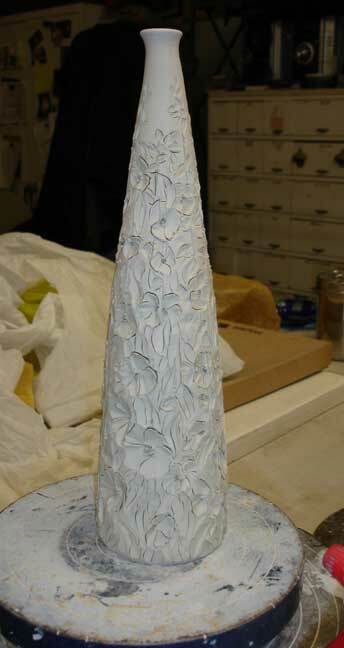 I have about another 125#s of clay to make with and then I switch over.